By the time of his death in 1991, trumpeter Miles Davis had lived several jazz lives. Throughout a career spanning 50 years, Davis showed an acute sense for shifting musical paradigms and an uncanny ability to both absorb and transcend the musical trends of the day. Time and again, he reinvented himself as needed, and as he did, he also changed the sound of jazz. Two sides of Davis’ music — one acoustic, featuring classic songs from albums such as Kind of Blue, the other electric, centering on Tutu, the most memorable studio recording of his late period — are the subject of Celebrating Miles, a concert featuring trumpeter (and Davis’ protégé) Wallace Roney, bassist-producer Marcus Miller, up-and-coming trumpeter Christian Scott and bassist Ron Carter, among others. The show, part of the Adrienne Arsht Center for the Performing Art’s Jazz Roots series, takes place at the Knight Concert Hall at 8 p.m. Friday. Roney’s career includes stints with Art Blakey, Tony Williams and Ornette Coleman, as well as 16 albums as a leader. He also won a Grammy in 1994 as a member of the Miles Davis Tribute Band, featuring Wayne Shorter, Herbie Hancock, Carter and Williams. He will perform in the acoustic half of the concert, leading an exceptional group comprised of Billy Childs on piano, Donald Harrison on alto sax, Javon Jackson on tenor sax, Carter on bass and Al Foster on drums. Roney’s own music includes distinctly contemporary elements including turntables and down-tempo grooves. But he won’t approach this show like a repertory player performing a role. In 1991, Davis invited Roney to be part of his concert at the Montreux Jazz Festival in Switzerland. That evening, working with an orchestra conducted by Quincy Jones, Davis revisited some of the charts of his classic collaborations with arranger Gil Evans. Roney was a featured soloist. He chuckles as he discusses the perception and truth of Davis’ cultivated, forbidding persona. For all of Davis’ tough posturing, his sound spoke with a touching vulnerability, which served him well in the ’50s and ’60s (just check his classic ballad playing), but also in the ’70s, as he stirred a witches’ brew of electric rock-jazz fusion. In Tutu, recorded 25 years ago this month, the deep humanity of Davis’ sound is set in a world of synthesizers and pre-programmed grooves. Here, he’s Everyman standing in a shiny, mechanical world of zeros and ones, smooth metal and plastic. 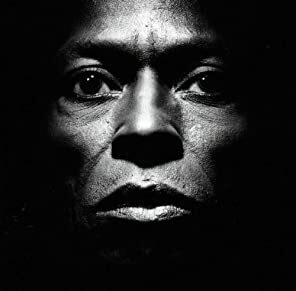 Some of the songs in Tutu were later incorporated into Davis’ live show playlist, but the idea of playing the whole album top to bottom only emerged a couple of years ago, as a one-off event, part of a Miles Davis exhibit in Paris. Miller found New Orleans trumpeter Scott, who will be 28 in March; Louis Cato, drums, 25; Federico Gonzalez Pena, piano, 42, and Alex Han, alto sax, 22. The performance was a success, concerts promoters called, and the one-time-only event became a touring show.